Cranky. Irritable. Anxious. That's how I feel when my home security-camera livestream goes black, when my bank's website goes down and sequesters my money, or when my Twitter feed doesn't refresh automatically. Maybe you feel the same way, maybe you don't. But it's undeniable that most things we interact with today live and die by the Internet and a connection to it. If those connections were to vanish—if the Internet everywhere crashed—life as we know it would come to a standstill. What happens after that is a potentially horrifying mystery that Tim Maughan explores in his new novel Infinite Detail, in which an act of cyberterrorism effectively cancels the Internet. 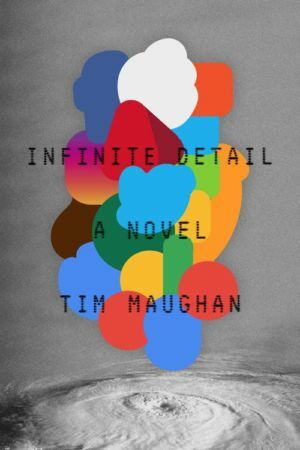 Maughan divides the story into "before" and "after" chapters, which is a popular structure among recent novels that center on a single significant event. In "before," we learn about a futuristic world that's not too far off from our reality. Everything is connected, and big tech companies trade comfort, convenience, and complacency for data. Everything from messages to trash is tracked, and a pair of "spex" is the most popular (arguably necessary) device.